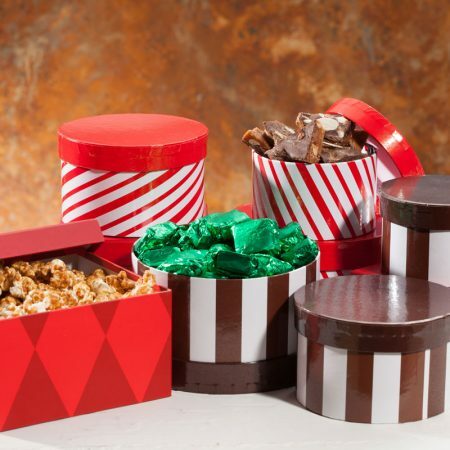 Includes a set of 10 Mini-boxes filled with the treat of your choice. These delicious and adorable 1/8 Pound mini-treats will have your party or special event guests enjoying every nibble. 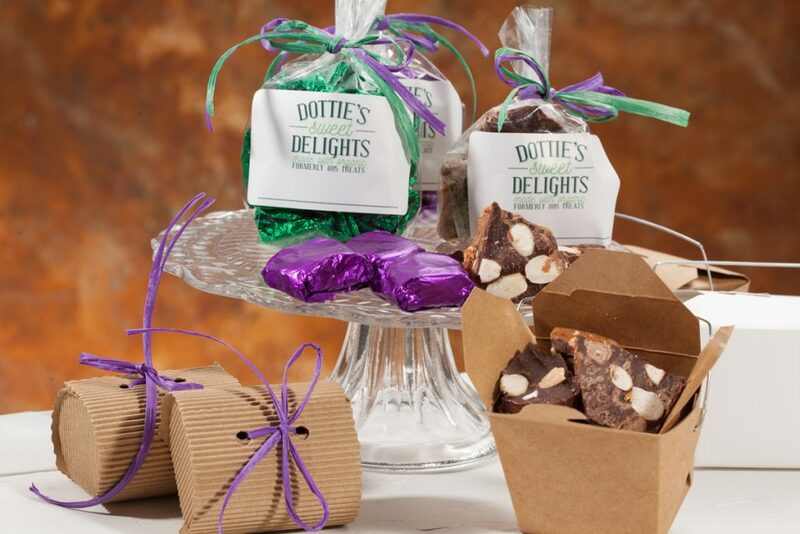 Choose from clear cello bag or mini “take-out box” packaging for Toffee, Caramels, and Caramel Corn. Chocolate Cherries come in a 2 pack box. 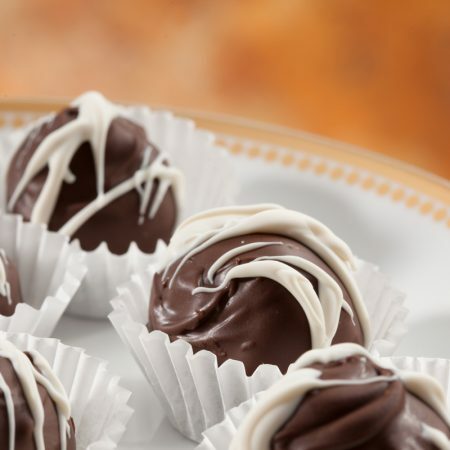 These also make great holiday basket additions and customer appreciation gifts. Mini-box holds approximately 1/8 Pound of toffee, caramels or nuts. Popcorn is measured by volume and will fill box. 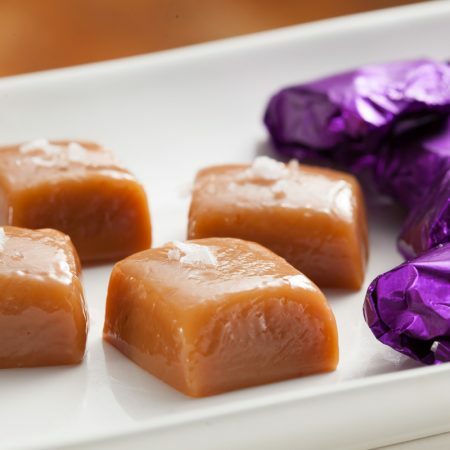 Mini-boxes of honey caramels can be individually wrapped in any color wrapper you would like to match your event decor. Please create a note at checkout if you would like a special color and we will contact you. To request customized ribbon colors for the Chocolate Cherries please specify a color when ordering or they will be shipped with Lavender ribbon. 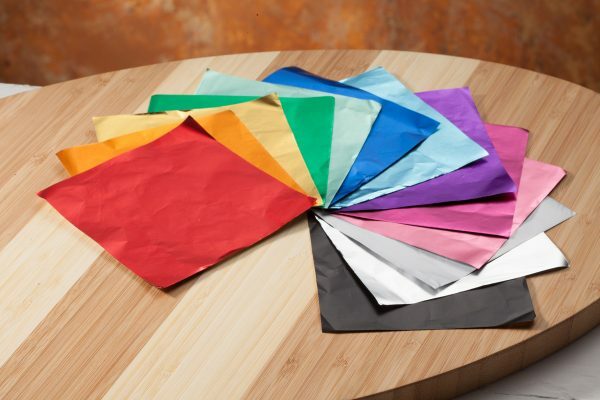 Color wrapper options include: red, orange, gold, green, sage, dark blue, light blue, purple, wildberry, pink, silver, white, or black (pictured left to right below).